This is an camera kit which will let you create a bespoke reversing camera kit solution for your vehicle. 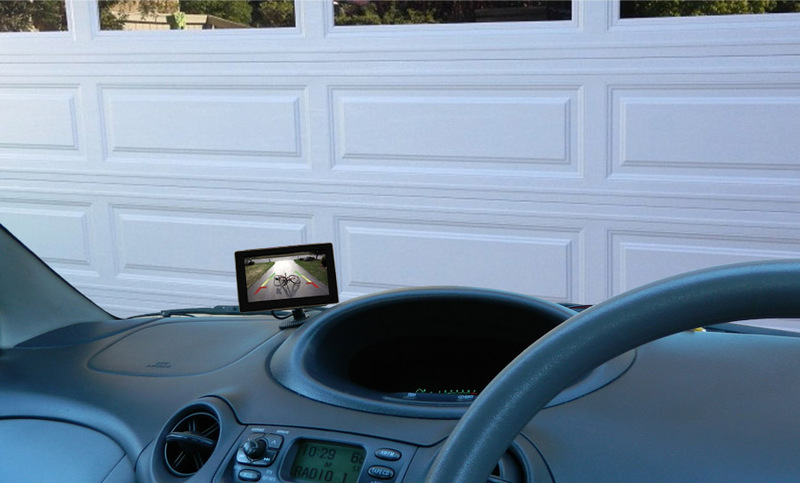 You can select from two types of displays creating a reversing rear view camera kit perfect for you. Both rear view display screens are the same quality, the only difference is where each display screen is positioned in the vehicle. 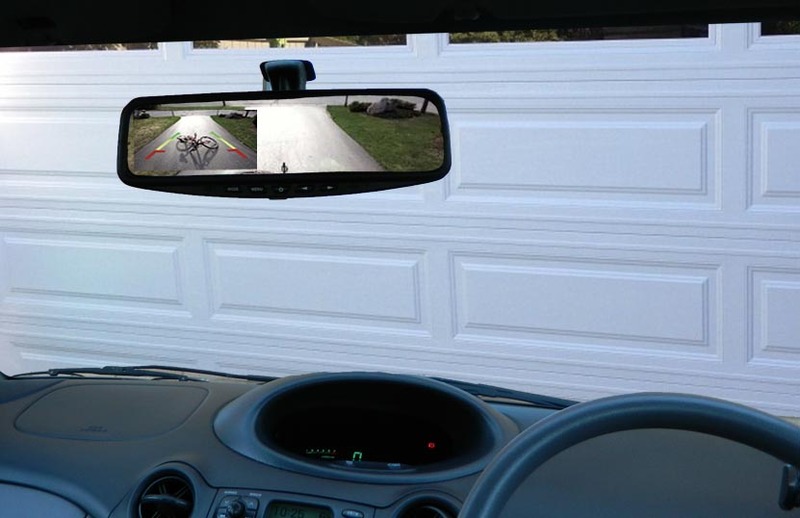 The mirror monitor screen simply clips over your existing rear view mirror and becomes dual purpose. 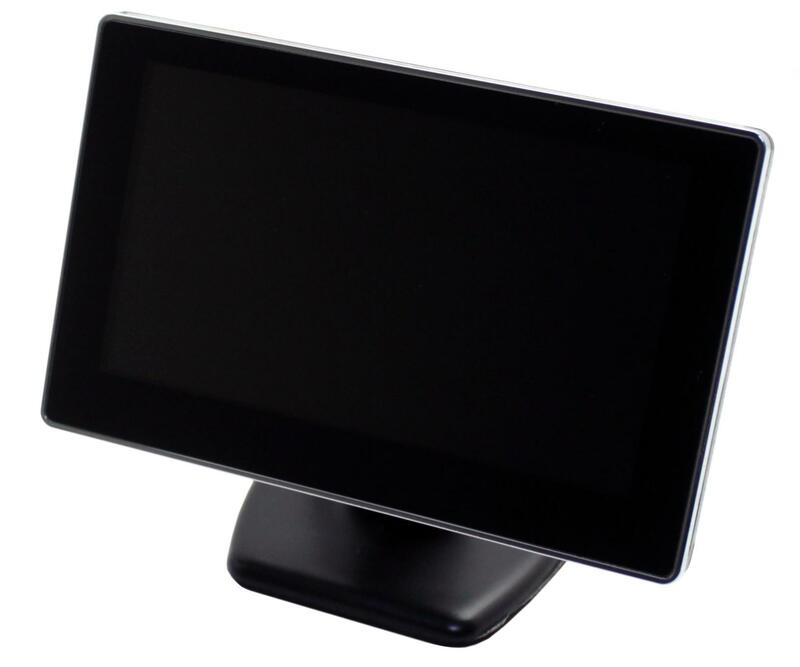 The second type of display screen is a discreet monitor which can sit in one corner of the dashboard. The displays you can select from are two different display screens, they are both at the same quality but the only difference is where you place the display screen. 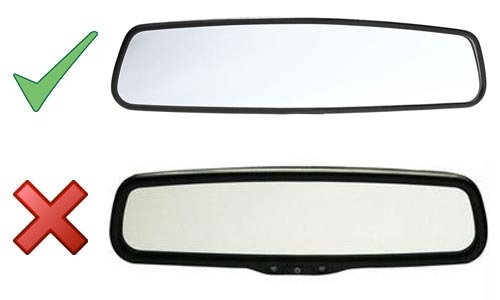 The first display screen is a mirror monitor which you simply clip onto your existing rear view mirror. The second display screen is a monitor which you can choose either, if you would like to stick it on dash or the windscreen. 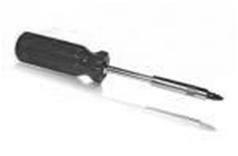 The high quality Sony lens with CCD chip set, is drilled in just above the number plate and gives a discrete look like the image below, like it was factory fitted. The CCD chip set will give you a clear and sharp picture in low light conditions, also the camera will work perfectly well in rainy conditions.